Didier won TV Composer of the Year last week. 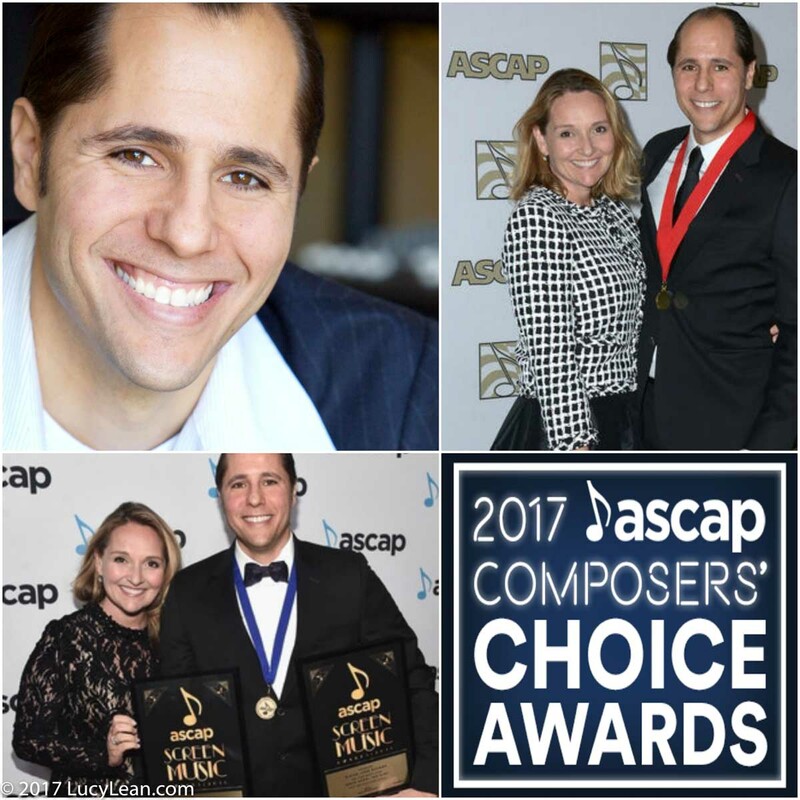 Didier has been nominated for TV Composer of the Year by ASCAP for his work on Primetime Emmy Award winning show Deadliest Catch, Bering Sea Gold, Gold Rush, Edge of Alska and Next Food Network Star, and the many other shows he composes for. 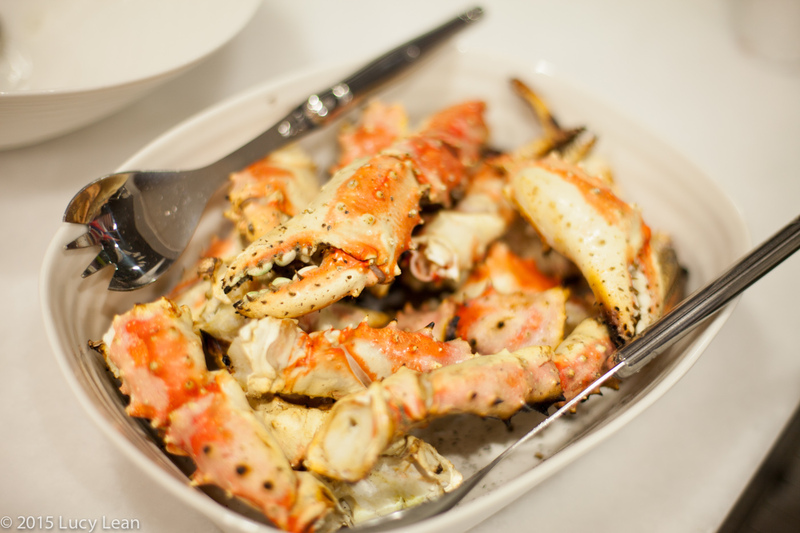 So tonight there will be Champagne and Alaskan crab rolls to celebrate, following the classic Lean Luxury recipe below. 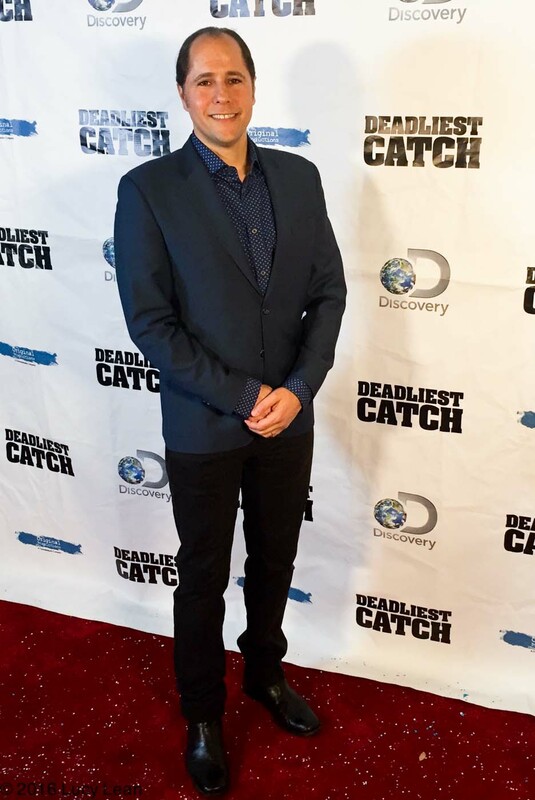 This is filed under About Last Night and the premiere party of Season 12 of the Primetime Emmy award winning show Deadliest Catch which my talented husband, Didier Lean Rachou, composes all the music for – #soProud. Thank you to all the captains and crew of Deadliest Catch who risk it all to fish for our supper and at the same time make great TV. Last night it was an honor to meet Captain Keith Colburn of the Wizard – who happens to have worked in restaurant kitchens in Tahoe in a previous life before crabbing. And most of all thank you Didier – keep composing that great music for the show and I will keep grilling up King Crab from the grill. I have a feeling Season 12 is going to be a good one. Meanwhile 3000 miles southeast of Dutch Harbor last night the chatter on Melrose Avenue was all about what to call the next season. Season 12 plus 1 seemed to make the captains happy. They are a superstitious bunch being first and foremost men of the sea and nature. What better way to celebrate than to sit and watch the excitement of our favorite vessels on the Bering Sea with a delicious Alaskan crab hand roll? 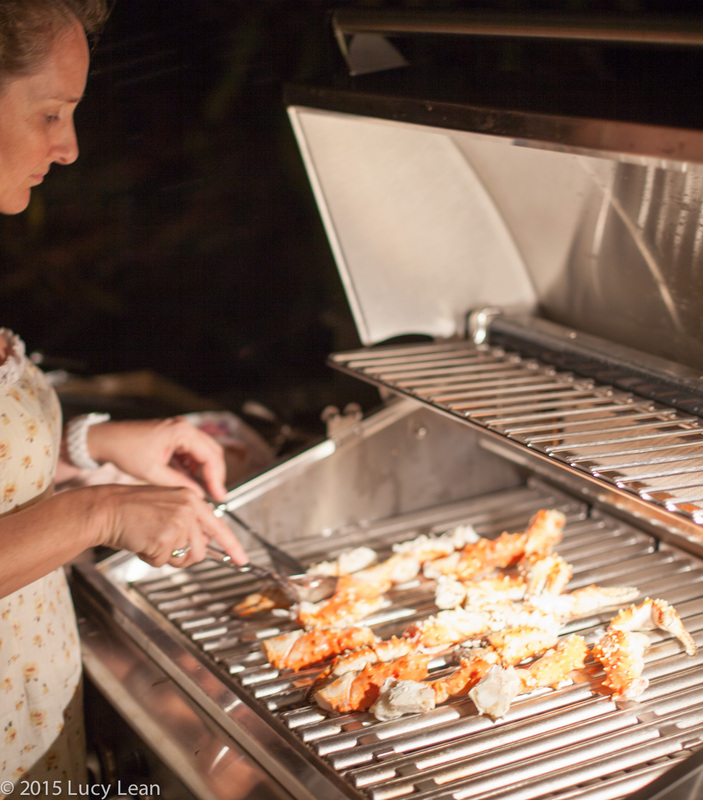 The best way to cook the crab is on the grill. At the fishmongers have them cut open the shells if they can – this makes getting to the crab that much easier. Cook a batch of sushi rice in the rice cooker- to which I add a generous amount, one splash at a time, each of mirin and rice vinegar, to make the perfectly balanced sweet and tart sushi rice. Heat the grill to medium high. 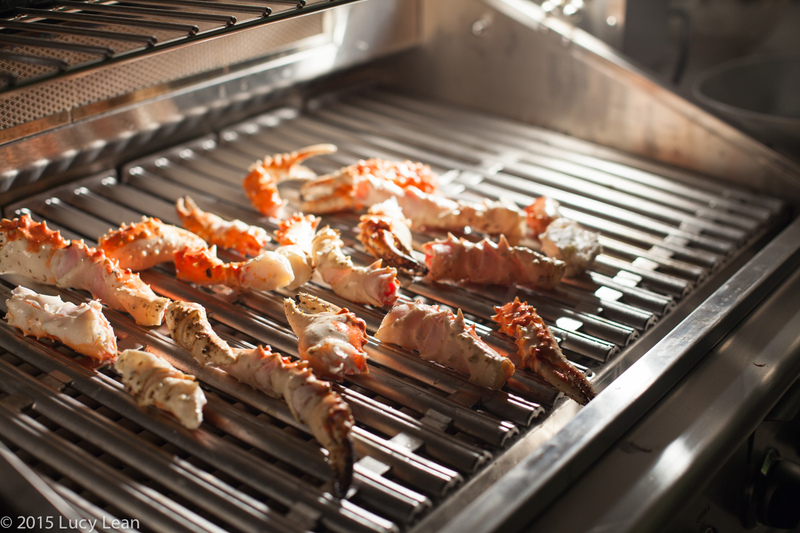 Arrange the crab on the grill, cook for about 3-5 minutes each side – you aren’t really cooking the crab you are heating it through and adding a nice smokey flavor to the shells. 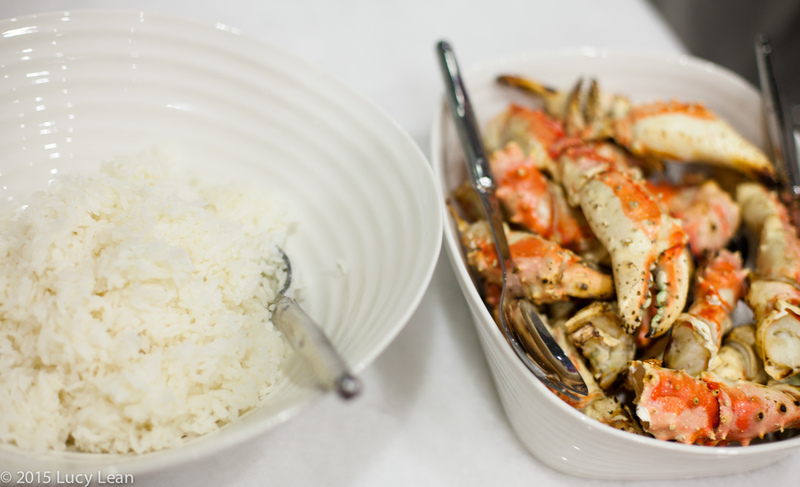 Immediately take the crab from the grill and make your sushi rolls. Take a piece of nori, some warm sushi rice and extract a decent helping of the sweet Alaskan crab meat. Feel free to jazz up your rolls with avocado, cucumber and such like – although I find the best version is the straight up – let the crab be the star. We all adore this Lean Luxury dinner – and it’s good if you cook up a batch and share.